Welcome to Gonzalez Restaurant! Here at Gonzalez we are a Tex Mex restaurant that is committed to providing the most authentic Mexican food using the highest quality and freshest ingredients. 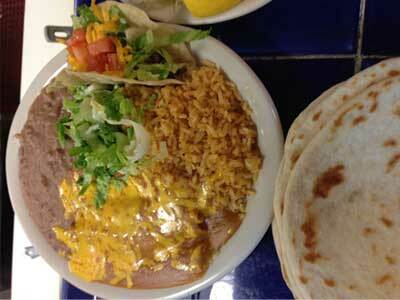 At Gonzalez Restaurant you will experience true Tex Mex traditions & culture. Visit us now and have a bite of our Award Wining 'Best in Texas' Flour Tortillas as you experience an authentic Tex Mex Restaurant in Dallas Texas. 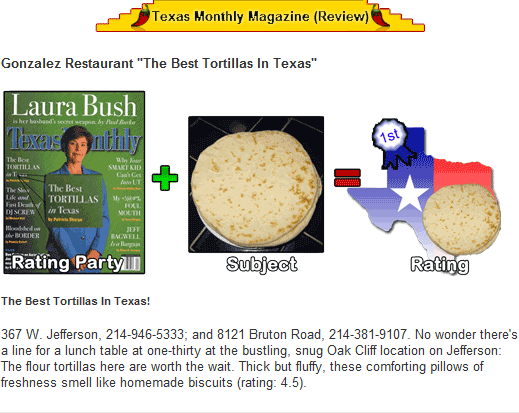 Try our 2014 best in Texas Flour Tortillas!